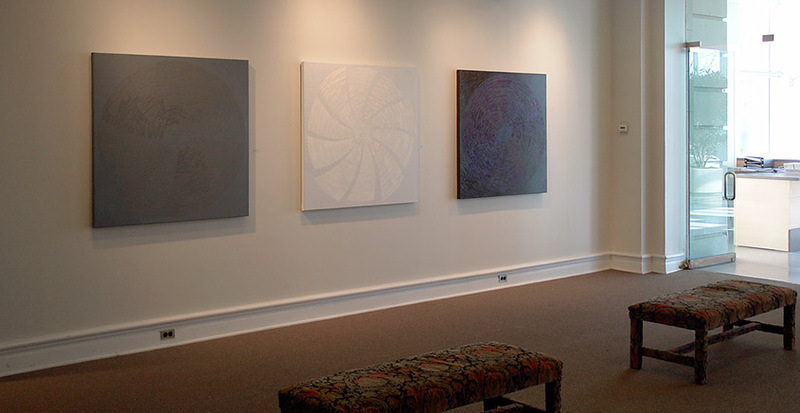 The paintings for Hear & Now, reminiscent of analog records, explore the relationship between geography and location, memory and auditory experience, and sound bite culture. Each of these images is a binary translation of an audio recording of a cultural event I experienced that has found its way into our cultural memory as a sound bite. I’m interested in how these events become memory and occupy space, both physical and virtual, within myself and the larger culturally shared understanding of the world. Our sound bite culture exists as a disrupted societal narrative and yet we all seem to follow the storyline seamlessly integrating bits of shared experience into the tapestries of our personal memory. 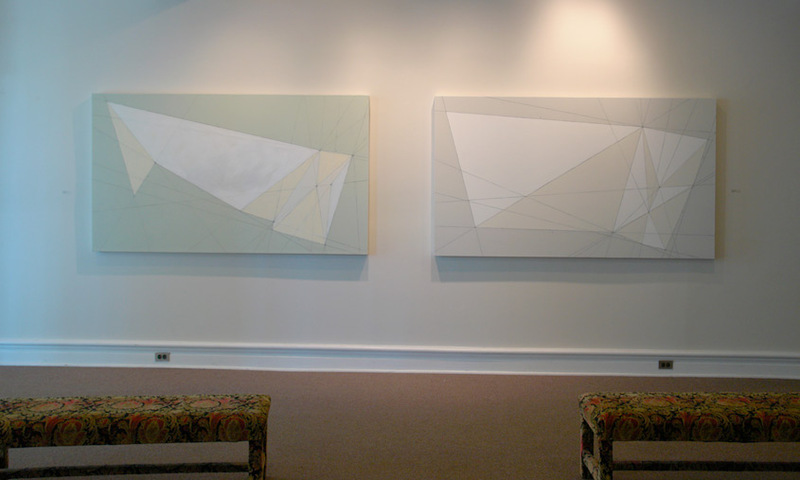 Included with these binary rounds, are two larger paintings that have been constructed using sets of personal data along with a folding pattern to create 2D sculpture. These flat images provide the instructions for folding a sheet of material into a specific shape which becomes the container for the data set. For example, How to Fold My Heart was developed using a map of the United States. I plotted the birthplace and current residence of seven people most important in my life. I then constructed a folding pattern using these relational geographic locations to create the conceptual sculptural shape. My main motivation in developing these latest works stems from an interest in how three-dimensional shapes can hold meaning through their specificity of relational form.